With NASA expected to reduce expenditures on astrobiology by half in the year ahead, the SETI Institute—a major recipient of that funding—is seeking private money to help support the nearly 50 scientists it has on staff studying the origin, evolution and distribution of life in the universe. Officials at the Mountain View, Calif.-based nonprofit announced the fund-raising drive Oct. 17 as part of a broader effort to sustain its astrobiology endeavors over the long haul by establishing the Carl Sagan Center for the Study of Life in the Universe to eventually establish more endowed chairs and create additional laboratory capabilities. But the center’s immediate goal, according to Scott Hubbard, a visiting scholar at Stanford University and the Carl Sagan chair at SETI, is raising $4 million to $6 million over the next three years to sustain its top astrobiology researchers. Hubbard, the former director of NASA Ames Research Center, said about half of the institute’s $14 million annual budget comes from NASA in the form of competitively awarded, peer-reviewed research grants. NASA’s astrobiology budget, the source of most of that grant money, is facing a steep decline. Under NASA’s 2007 budget proposal, currently before Congress, the U.S. space agency would spend $32.5 billion on astrobiology in the year ahead—half of what it spent on astrobiology in 2005. Hubbard said in an interview that if NASA goes through with the proposed cut, SETI would expect to see its NASA grant funding reduced by about 20 percent—making it impossible to sustain without outside help the nearly 50 astrobiology researchers it has on staff. Astrobiology, a discipline NASA has been funding for about 10 years, is the hardest hit in NASA’s proposal to reduce its overall scientific research and analysis spending by about 15 percent in the year ahead. NASA is under pressure from the hundreds of research scientists it funds and their allies in Congress to reverse course on the proposed reductions, and the SETI Institute is part of that fight. But Hubbard said SETI’s intent in establishing the Carl Sagan Center for the Study of Life in the Universe is to introduce a measure of long-term stability to the astrobiology community, not protest the current proposed cuts. 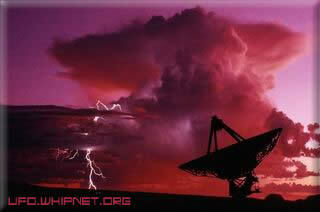 SETI is no stranger to seeking private funding to sustain its activities. The institute’s well-known radio searches for signals from other intelligent life in the universe has been entirely funded by about $6 million a year in private donations since Congress cut off federal funding for the efforts in 1993. 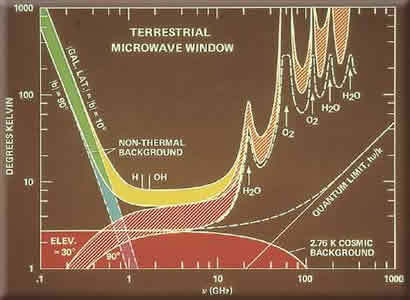 Related: Is Seti Barking Up the Wrong Tree?